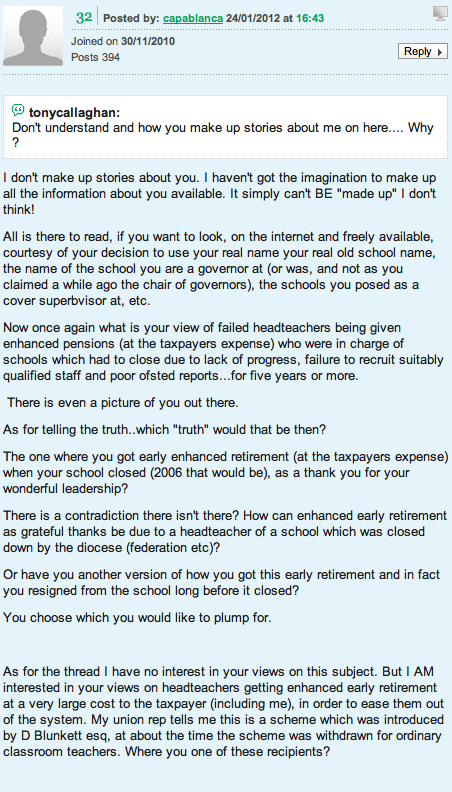 At the end of January the Chair of Governors of the Seckford Foundation wrote to Jeremy Rowe, Headteacher of Sir John Leman High School and said that his use of Twitter "is not worthy of a headteacher who expects to be taken seriously..." and went on to say that "The future education of the children of Beccles is a serious subject. It should not be trivialised by comments on Twitter." One of the four original proposers of the Beccles Free School who has acted as a spokesperson for the group is also very fond of discussions online about the future education of children in Beccles. Tony Callaghan writes regularly in the TES forums. In fact if you have a few hours free I recommend that you sit down with a cup of tea and go to: http://www.tes.co.uk/searchResults.aspx?area=staffroom&author=511247 you will find literally thousands of posts on a wide variety of subjects. 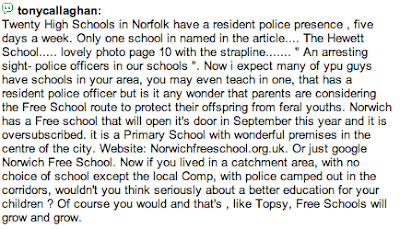 Some of these posts express quite interesting views on a wide variety of issues including the education of children in Beccles. In it he accuses "neighbouring schools" of offering "micky mouse subjects to play the league tables system". 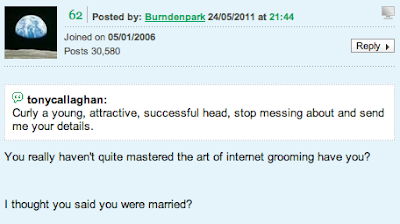 Quite an accusation and completely without foundation as far as I can tell. Headteachers must be monitored in their dealings with such colleagues. Many heads are frightened to follow disciplinary procedures for fear of adverse publicity or being out-manoeuvred by unions. As a union official, I have used scare tactics myself to prevent incompetent teachers being sacked. 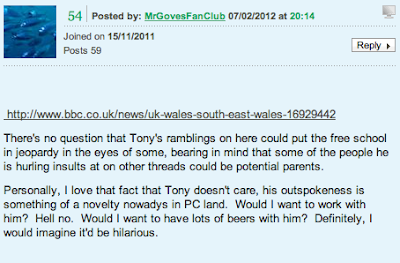 There seems to be some inconsistencies in Tony's own background story. 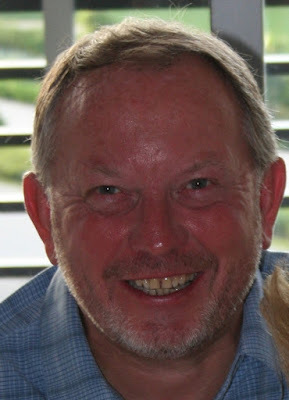 He was previously a head teacher at a St Bedes Roman Catholic Middle School in Bedford. Sometime after he left the school was closed down. Callaghan claims due to the diocese running out of money but eventually after he had left the school was in fact put into special measures due to several years of poor performance and closed for the same reason. He posts frequently from Florida boasting about how he retired early having received an "enhanced pension". Although bizarrely he not only opposed the recent teachers strike on pensions but also speaks on behalf of the tax payer's alliance. He was until recently a school governor but actually spoke to the press condemning his own Head for taking part in the 2010 SATs boycott. If Callaghan really wishes to support the free school bid perhaps he should disconnect his own broadband line. 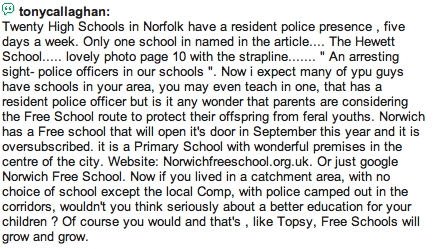 Second Post: Beccles Free School a grammar school education "just for middle class children"